How to get to Puerto Viejo de Sarapiqui? | What to do and where to stay in Sarapiquí? The town of Sarapiqui is the largest county of the province of Heredia. Sarapiqui covers over the 85% of Heredia’s total area. 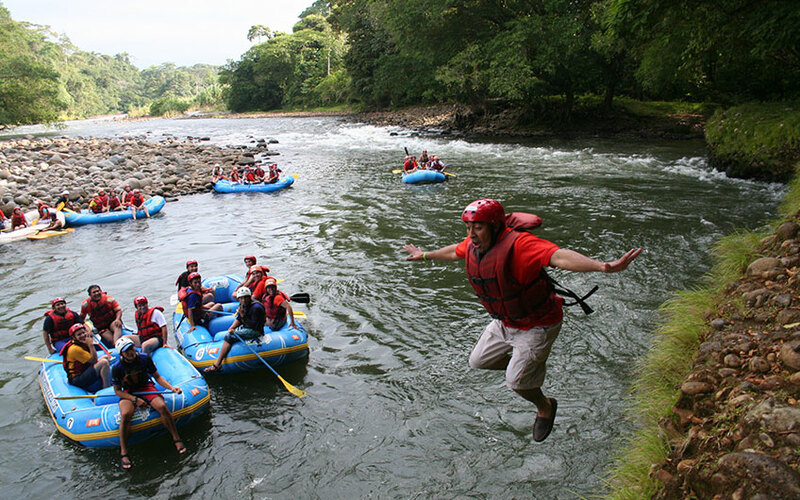 Located in the northeastern region of the country and bordered by Nicaragua in the north, Sarapiqui is becoming a popular tourist destination mainly among the adventure lovers and those who enjoy the white-water rafting experience down the Sarapiqui River. This place is also well known as there are a number of wildlife and nature reserves nearby. Sarapiquí has become an important ecotourism destination in Costa Rica that lies near the base of the central mountain range, giving it a great Costa Rica weather and lush nature in the surroundings. The main city of Sarapiqui is Puerto Viejo de Sarapiqui, also known as the “old port of Sarapiqui”. In the past, the town of Puerto Viejo de Sarapiqui was a quiet place, but nowadays it is now fast becoming one of Costa Rica’s well recognized tourist and commercial areas. 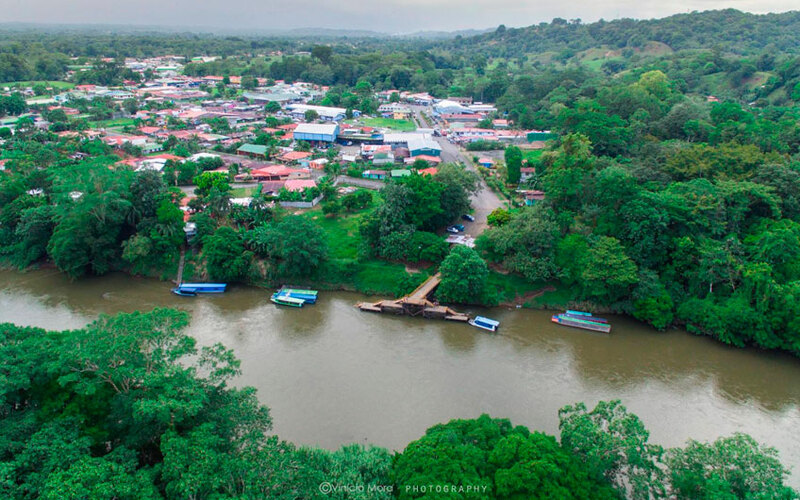 The city of Puerto Viejo de Sarapiqui is located at the convergence of the Sarapiqui and Puerto Viejo rivers, at an approximate distance of 30 km south of the Nicaraguan border, you can check it by asking our Costa Rica map. The region is situated 37 meters above sea level, which makes it be considered as part of the Northern region plains and its landscapes are surrounded by lush forests and agricultural plantations. Puerto Viejo de Sarapiqui has a past full of history. This small village was used as refuge by William Walker, the American invader during the civil war of 1856, and it also has some limits due to Costa Rica’s conflict with Nicaragua. At one time, Puerto Viejo was also a small port town that used to export varied goods through the San Juan river, of Nicaragua, down the Sarapiqui river. Sometimes, the community exportations used to dock in the province of Limon and other different locations along the Caribbean coast of Costa Rica. However, now this city has developed and turned into a rapidly expanding town, with varied services and a lot of facilities available. This way, Sarapiqui has a great variety of affordable and budget Costa Rica hotels, bars and restaurants serving the best of the Costa Rica food as well as a number of rafting and tours companies. The community produces a great variety of agricultural products, and the crops are just some of the reasons that make the place so beautiful. Surrounded by exuberant vegetation, Sarapiquí is a major producing area for pineapple, cacao, bananas, dwarf fan palm (for hearts of palm), coffee, corn, cardamom, and other fruits. Thanks to the different river’s irrigation the land in the region is very fertile and it assures high quality products. Another fact that facilitates the growth of the crops here is the area’s climate. The weather here stays mild and moderate throughout the year, and the average temperatures are of approximately 24º-30º C (75 º-85º F), frequently cooled off with the rainfalls. Another attracting fact of Sarapiqui to consider it as part of your Costa Rica travel is that there are several protected zones close the town; the Braulio Carrillo National Park and La Selva Biological Station can be reached within a close distance and the Sarapiquí river, which some adventurous tours take place, is near too. This is definitely a great place to enjoy the natural beauty of Costa Rica, and it is the ideal vacation spot for those who really enjoy being outdoors and taking different nature tours such as horseback riding, birdwatching in the forest, hiking or kayaking. But, if you are wondering what else you can do while there, let us tell you that in Sarapiqui you can find some great banana plantations nearby that you can explore and where you can learn about the planting process; and also, you can visit as well as visit the colorful butterfly gardens that can be found in the area. As our suggestion, we recommend you a great way to spend a day here: to take a rafting trip down the Sarapiqui River and discover this way one of the most important routes between this region and the Caribbean coast of the country. Your Costa Rica holidays won’t be completed until you experience the adrenaline rush of the white-water rafting adventure. But we will talk a bit more about what to do in Sarapiqui later on. How to get to Puerto Viejo de Sarapiqui? It is easy to get there, so it won’t be a problem for you. Departing from the capital city of San Jose Costa Rica you must head north into the Heredia province and go past the town of Santa Clara; from there, head northwest to Tigre town. If you want a more scenic route, an alternative would be to travel from Barva in Heredia to San Miguel passing by the Poas Volcano but this will take a little bit more, approximately 2 hours and 30 minutes. Another option is to take the Route 32 to head onwards to this city, passing by the Braulio Carrillo National Park. This way is shorter, the driving distance is of approximately 85 km and a 2-hour drive. If you drive a little further to the East you will get to the world famous Tortuguero National Park, another natural jewel of the Caribbean side of Costa Rica. Barra del Colorado National Wildlife Refuge can be reached this way too and getting there will allow you to experience nature in a whole new way. What to do and where to stay in Sarapiquí? As we mentioned before, Sarapiqui is a virgin tropical jungle which is home to hundreds of wildlife species such as snakes, frogs, birds, and mammals. Nature and wildlife are mixed here offering its visitors a really great place to discover and a bunch of activities to enjoy. 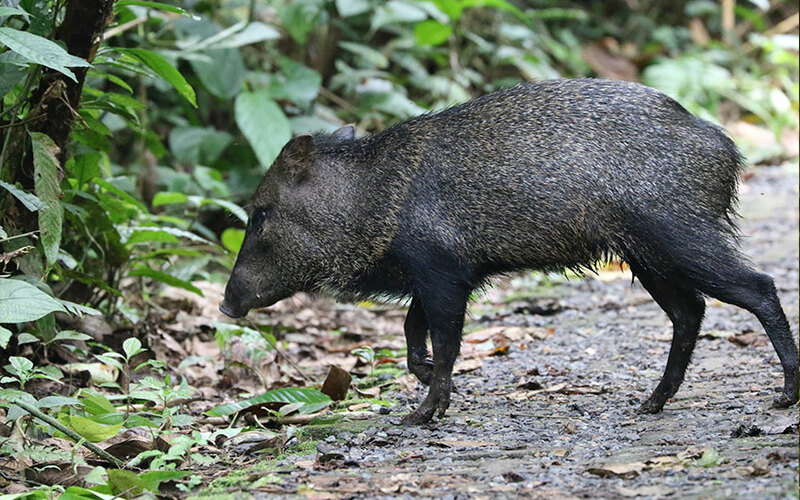 To start naming some of them we can say that Sarapiqui is one of the most important research areas for the tropical rainforest of the country. Here there are various places that have made great efforts to balance the ecotourism with the conservation of the country’s environment. One example of this is the Sarapiquis Neotropic Center (Centro Neotrópico Sarapiquís) which is a research center located west of Puerto Viejo de Sarapiquí along Highway 4. 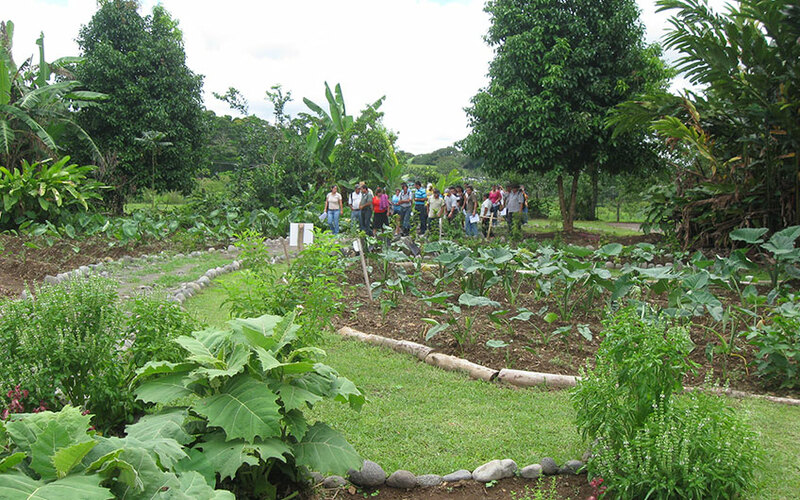 This unique experience offers an ecolodge, a botanical garden, a museum, an archeological park and an education center. Besides, you can have access to a premontane rainforest for exploring and hiking. La Selva Biological Research Station is a place where visitors can learn about the interesting ecosystems of the rainforest and its fauna and flora. This activity is ideal to enjoy with your children during your family vacations in Costa Rica, as the hike is friendly for all ages and is a fun and interactive way of learning. Another option for nature lovers is El Gavilán, which is a 450 acre (182 ha) private reserve reachable by boat from the Sarapiqui river. The boat ride will bring visitors the opportunity of seeing different bird species, caiman, sloths hanging in the nearby trees, monkeys and even crocodiles along the shore. This is a good activity for the whole family as it is a relaxed boat ride. Rara Avis Rainforest Lodge & Reserve is a good option to stay while in Sarapiqui, as it combines the comfort of a cozy lodge and the lush nature of almost 2,500 acres (1,000 ha) of pristine virgin rainforest. The place is located near La Selva Biological Station and the Braulio Carrillo National Park and was created in an effort to preserve the rainforest and avoid its destruction. There are a lot of hiking trails to explore the area and in their paths anteaters, monkeys and coatimundis -as the main mammals spotted here- can be seen. There are many conservation projects for the biodiversity can be witnessed first-hand. To reach some of them you just have to drive from Puerto Viejo de Sarapiquí and head south 11 miles (18 km) to the town of Las Horquetas de Sarapiqui. For example, traveling west from Puerto Viejo de Sarapiqui approximately 4 miles (6.4 km) towards the town of Chilamate to get to Selva Verde Lodge. The private reserve encompasses 475 acres (192 ha) of pristine rainforest. The region is full of reptiles and amphibians, as well as birds that live in the forest canopy. Here you can enjoy boardwalks and trails to explore, and besides you can find a butterfly garden if you love those colorful creatures. But not everything is about research centers and exploration. This small town also offers activities to have some fun off the beaten path. As we mentioned before, the rafting experience is a must here, and there is the possibility to enjoy the river despite your agility level: the river provides incredible rapids going from class I to class IV. If you are not so much into the “adrenaline mood” then you can enjoy a more tranquil option, as the boat river excursions through the dense and scenic vegetation and the amazing wildlife. For birdwatchers Sarapiqui is a completely paradise. 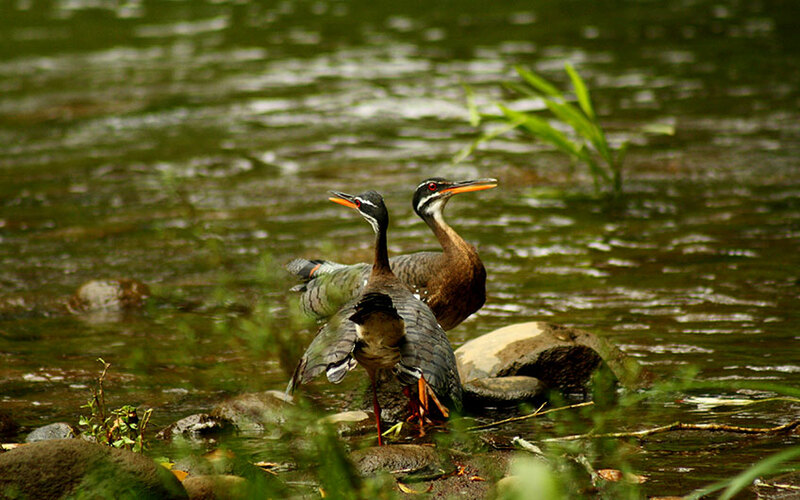 Here you can enjoy a great Costa Rica birdwatching experience as there can be seen many of the country’s bird species. Quetzals, green macaws, hummingbirds, toucans, aracaris and guans are just some of the ones that you can see and photograph here. You can mix different Costa Rica tours in the same day, or during an itinerary of two or three days, and we assure you that the time will be well spent. If you are more into culture and history then let us recommend you the Sarapiquis Rainforest Lodge as it was designed as a 15th century indigenous village. The resemblance allows visitors to know a little about our ancestors and if they want to learn even more, there is a museum of indigenous Pre-Columbian culture on the grounds. A modern scientific research center, an archaeological site and many botanical gardens are also part of what you can enjoy there. In the place there is available a great restaurant offering delicious samples of Costa Rica food, with a menu based on local and vegetarian cuisine. Chocolate lover? 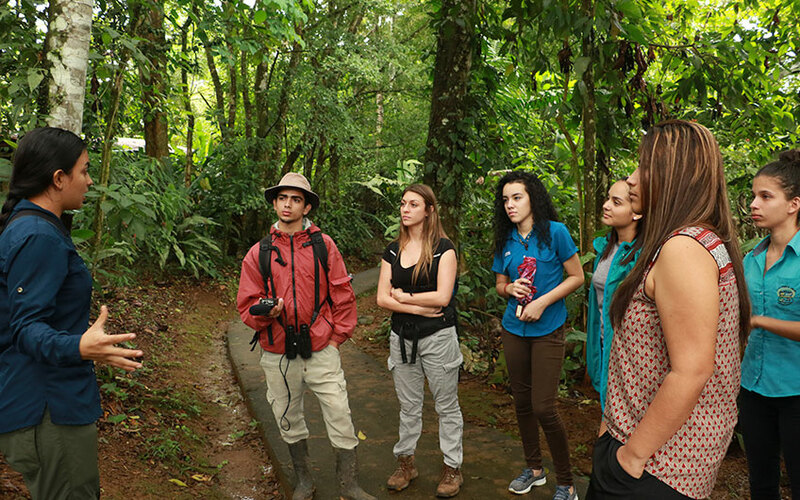 Then a visit to the Tirimbina Rainforest Center and Biological Reserve is what you need to do in Sarapiqui! 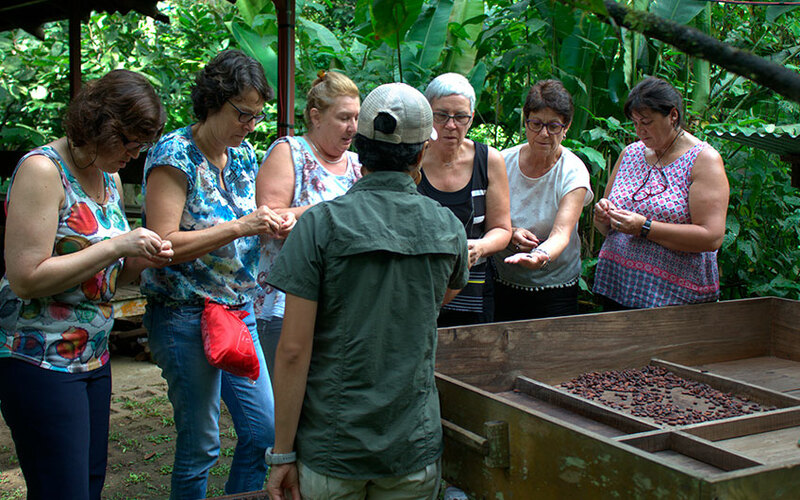 The tour teaches you about the process of the chocolate production, and also you will learn about the secrets of the cacao plants and its centenary history. This activity is ideal for the whole family as kids and adults will enjoy while learning about the food and drink of the kings: the cacao. Your visit will immerse you in the rainforest, crossing a suspension bridge to a cacao growing plot. You will know everything about chocolate, from the plant to the delicacy that it is nowadays. And talking about food, you can visit Finca Corsicana where you will be part of a pineapple tour in a large and organic pineapple farm. Here, they harvest over 38 million pineapples per year, the special sweet Golden pineapple. The place is a 3000-acre plantation which is a partnership between Collin Street Bakery of Corsicana, Texas and Industrias El Angel of Costa Rica. Their main goal is to produce pineapple in the most sustainable way, as possible, for the Texas bakery’s desserts and also to for export to the United States. The tour will take you to the fields where the fruits are cultivated in specially designed trucks, and then back to the factory to see the processing and packing process. This will show you part of the economical activities of the community. As you can see, Sarapiqui is more than a little town surrounded by forest. Here you can find high quality accommodations and diverse tours to be included in your Costa Rica vacation packages for your next visit to paradise on Earth. Please, contact us if you want to know more or if you need assistance in planning your trip. Our travel designers are waiting for you!